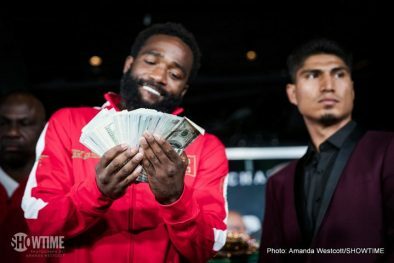 Broner, Garcia final press conference quotes for Sat. 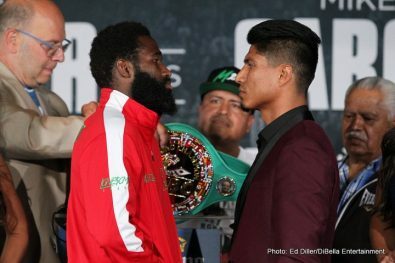 Four-division world champion Adrien Broner and three-division world champion Mikey Garcia went face-to-face Thursday at the final press conference two days before they headline a Premier Boxing Champions event Saturday, July 29 live on SHOWTIME from Barclays Center, the home of BROOKLYN BOXING®. 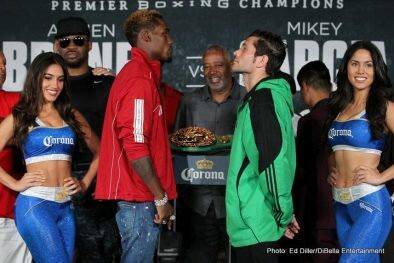 SHOWTIME CHAMPIONSHIP BOXING begins at 9 p.m. ET/6 p.m. PT with unbeaten former world champion Jermall Charlo meeting top contender Jorge Sebastian Heiland in a middleweight world title eliminator. 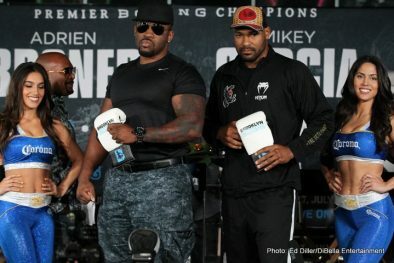 Undercard action on “SHOWTIME CHAMPIONSHIP BOXING Prelims” will stream live on Facebook and YouTube and will feature heavyweight contenders Gerald Washington and Jarrell Miller in a 10-round match, plus Irish sensation Katie Taylor in her U.S. debut. 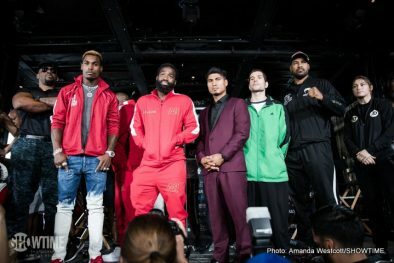 Tickets to the event, which is promoted by Mayweather Promotions and DiBella Entertainment, start at $50 (not including applicable fees), are on sale now, and can be purchased at ticketmaster.com, barclayscenter.com or by calling 800-745-3000. Tickets can also be purchased at the American Express Box Office at Barclays Center. Group discounts are available by calling 844-BKLYN-GP. “Just know that I’ll be ready on Saturday night. I’m not worried about how much he’ll weigh when we step into the ring. I’m ready for anything. “Camp was tough, but it was great. I did a lot of things differently and made sure that I was doing everything right. I made sure not to cut any corners this camp. “This is going to be a great fight for boxing. I’ve done my due diligence. I’m going to take care of business. I just know myself and know what I’m capable of. “Every fight is a must-win in this sport. There’s no fight you go into with a loss on your mind. I’m going to put on a show on Saturday. “I laugh when people write me off. I’m used to being the underdog coming from where I come from. People don’t know what I’ve been through to get to this point. I’m blessed to be where I’m at. Saturday night there will be a lot more room on the bandwagon. 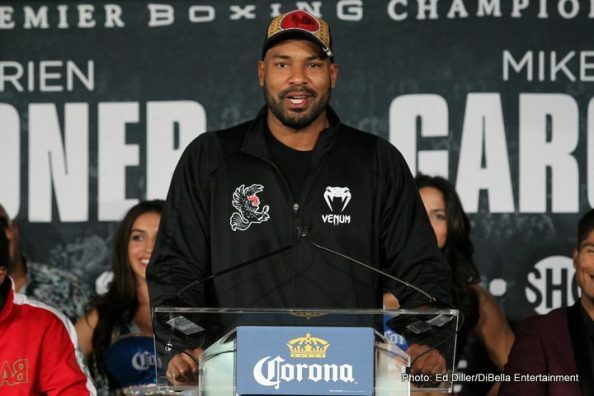 “We’ll see who’s on the pound-for-pound list after Saturday night. We could have fought years ago but the time is now and I’m ready. 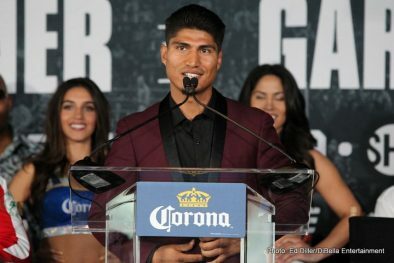 “I’m glad that the Garcia team took this fight as quickly as we did. I’ve been taking everything seriously in Colorado. I know Mikey will be ready too. Robert Garcia definitely has some confidence from beating me with Marcos Maidana. But Mikey is not Maidana. “I just don’t feel like Mikey will be able to do anything to stop me from getting the victory. I’m sure he’s confident too. After I make it look easy, I want everyone to write about it and say something good. “I can make anybody quit in the ring. Mikey is no different. If I execute and stay focused, don’t be surprised. I’m ready for this fight. 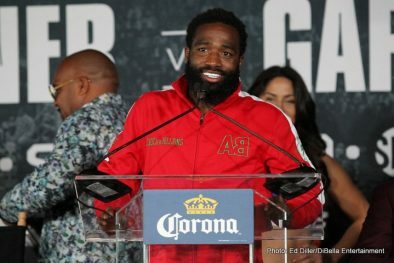 “I’m prepared to go 12 hard rounds with Adrien Broner. This is a high profile fight. Probably more than my other fights. It’s created a lot of buzz amongst fans and media. Everyone is anticipating a great fight. This is a great matchup that can take me to the next level. “I don’t think that he’s going to be desperate but he knows that I’m not an easy opponent. That’s why he’s taken camp so seriously. I expect him to be at his best and be ready. He knows that if he beats me he can launch his career back to where it was. “He’s a four-division world champion so clearly he has the skills. I need someone who is hungry and motivated to bring out the best in me. My main focus is getting the win by any means necessary. 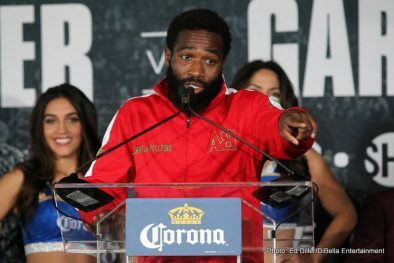 “I’m going to lo look to box effectively and show that I’m the better fighter. We’re both smart fighters but neither of us will run from the other. 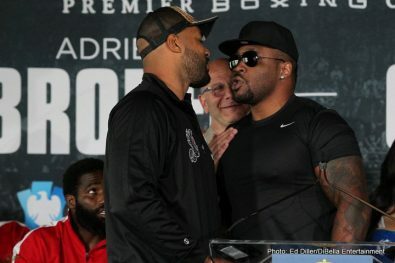 When you have styles like ourselves, with two guys who like to exchange punches, you’re in for a great battle. 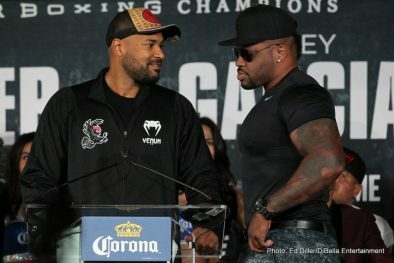 “I think Adrien will be fine with the weight. He’s a pro and he knows that he really has to make weight. He’s learned from his mistakes. Sometimes he jokes around but that’s just part of his character. He takes things a lot more seriously because he’s facing me. “If I can get this win, I just want to keep moving forward and fulfilling my dreams. I want to be in huge fights consistently. This is a crossroads fight for both of us to get to that level. “I’m very excited to be here. Brooklyn was very kind to me when I fought here last year. I expect the fans to be here and show up like they always do on Saturday. There are incredible boxing fans in New York. 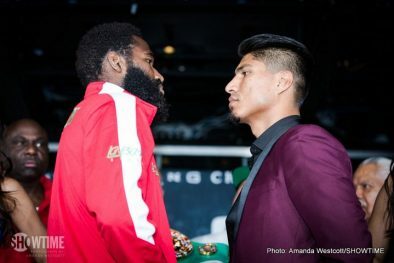 “I feel great and ready to make my debut at 160 pounds. Camp has gone smoothly. I’m ready to dominate this division like I did 154 pounds. My plan is to care of Heiland and then everything else will fall into line from there. 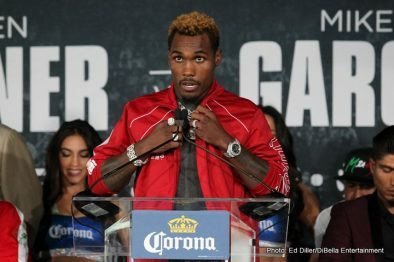 “This is a bigger, better and stronger version of Jermall Charlo. Everything has come together during camp. Ronnie Shields runs a great camp and I believe he’s continuing to bring the best out of me. “I’m completely focused on this matchup. I know that I can’t get any of the big fights that I crave without taking care of Heiland. I’m going to break him down and if the knockout comes, I’ll make sure to take advantage. “I’m thankful to everyone who has welcomed me to New York. I’m happy to have this big opportunity and I’m 100 percent prepared for whatever Jermall Charlo brings. Jermall is a great fighter and I know that he is going to bring everything he has. “I’ve had an amazing camp and I’ve never felt more prepared for an opportunity than this. I was very patient and I will take full advantage. My plan is to leave everything in the ring on Saturday. “I came here to go to work. I’m going to shut that big mouth of his up. I hope someone is holding him accountable for all the words he’s been saying. You’re in there with a real one on Saturday night. I’m going to welcome you to this game for real. “I’m sure he’ll try to bring some extra pressure. I’m going to introduce him to a new class of boxing. 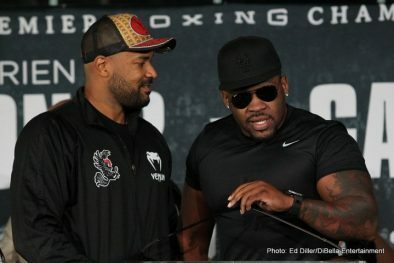 I’ve taken a lot from my experiences in training camp with Wladimir Klitschko and in the ring with Deontay Wilder. You’ll see the difference on Saturday. “I’m still growing in this sport. I’ve been learning on the job this whole time and each experience just means so much to me. I wanted to take on a tough undefeated fighter because I knew that it would make it a great fight. “If you don’t know who “Big Baby” is, you soon will. I’ve never seen anyone get knocked out and get praised for it, but that’s what people are doing for Washington. I’ve never been hurt in my life in the ring and I’ll prove it on Saturday. “This guy said he’s going to introduce me to big-time boxing. I’ve been in front of huge crowds and I’ve come through with knockout wins. I’ll be more than ready on Saturday night. 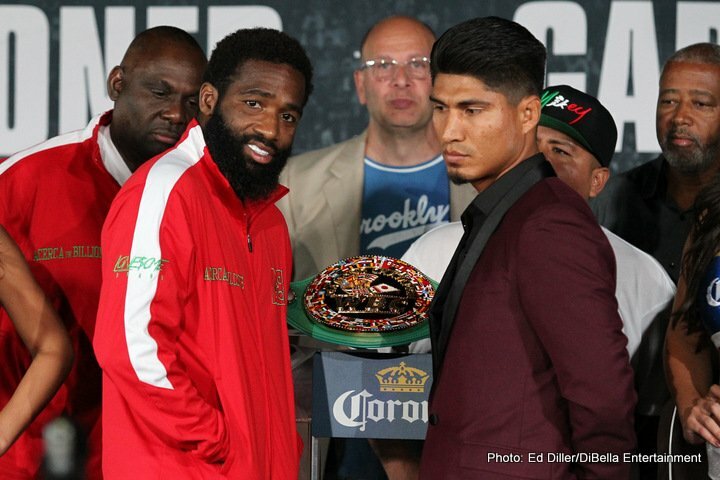 “It’s incredible to be here in New York and to make my US debut on this incredible card. It’s truly a privilege. 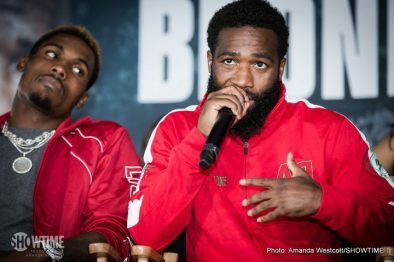 “Training has gone so well and I’m so happy that SHOWTIME will stream the fight. It’s incredible for my fans overseas and all fans of women’s boxing. 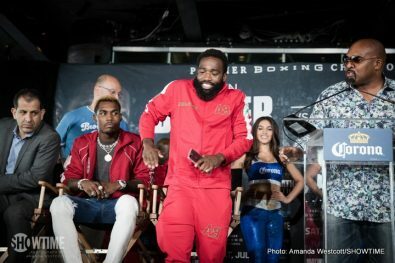 “A month from now there will be a huge event in Las Vegas, but two days from now there is the best fight card of the summer, the best fight of the summer, and a great show from top to bottom at Barclays Center in Brooklyn. 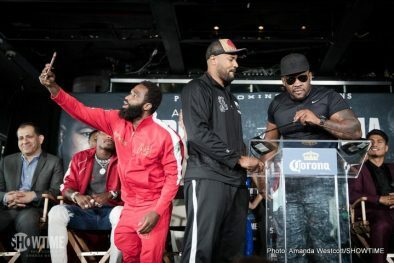 “This is a great summer of boxing for SHOWTIME and it’s great to be in this room and see all the great attention that this fight card is getting. This is one of the best representations that we can have of our sport. This is one of the most stacked cards I’ve ever been involved with. “This is definitely a must-see event on Saturday night. Two great fighters, fighting at the right time, both in the prime of their careers. It’s going to be a great show. 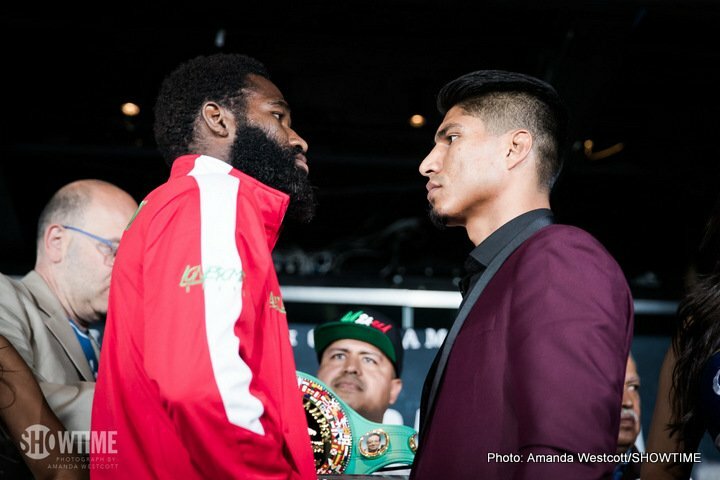 “Saturday is a testament to SHOWTIME’s commitment to boxing and boxing fans. We’ve worked hard to deliver the most important bouts from around the world. We have three separate telecasts, five fights, across two continents. 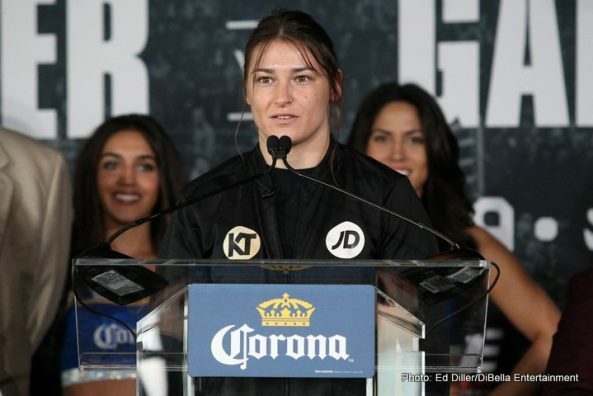 “We will also be streaming Katie Taylor’s U.S. debut. People know Katie from reputation alone, and we thought it was important to have her fight seen. 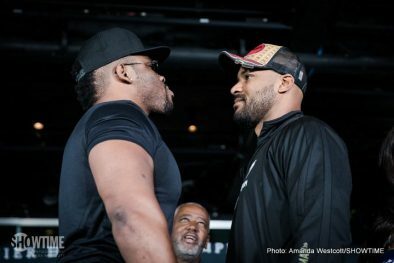 The heavyweight fight between Gerald Washington and Jarrell Miller is another one that deserves to be seen and I think it could be the fight that steals the show. 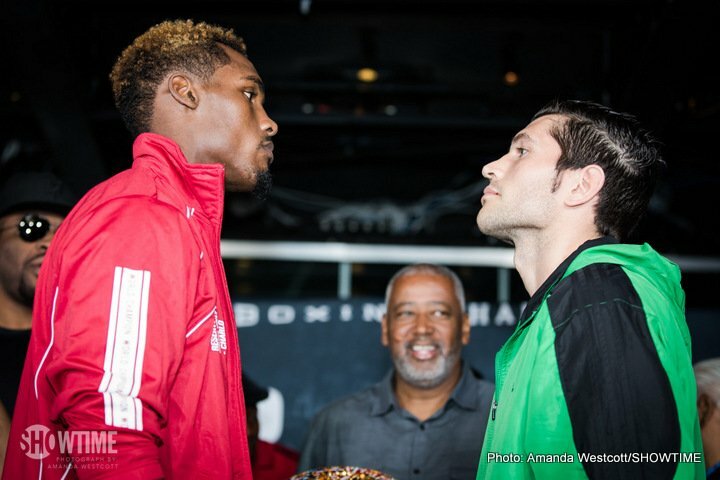 “The main event has two of the brightest young stars in boxing. They both feel like they’ve been on this stage for a while. You know their resumes and you have to give them all of the credit in the world for taking this fight. Neither had to take this fight, but it will be one of the most exciting matchups of the summer. “This card is our fourth major card this year. 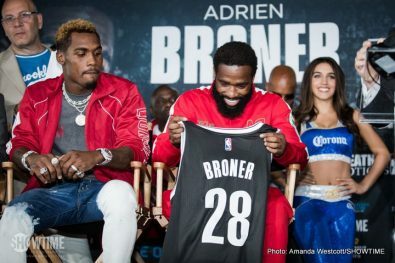 It’s been an incredible year for BROOKLYN BOXING. We’ve made a commitment to bring the best boxing to the borough. With all of our partners help, we have been able to accomplish that. “We welcome both of these fighters back to Brooklyn. 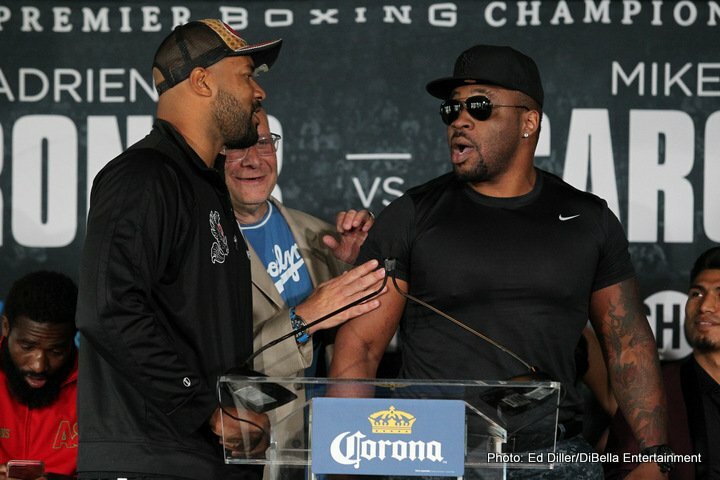 They’ve both built fan bases and we’re excited to see both of them back in the building and in the ring on Saturday. 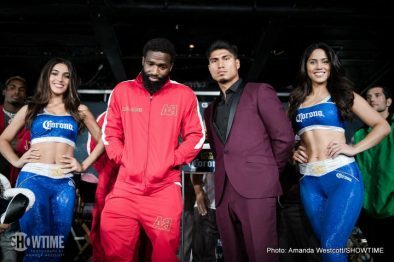 You are here: Home / Boxing News / Broner, Garcia final press conference quotes for Sat.